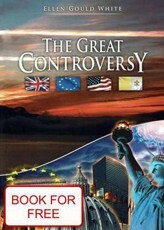 All Bible prophecy being fulfilled and suggest that our world is at the end of their history. Current world events indicates that we are in the last days of this world and our job is to prepare for our encounter with God. Therefore carefully study the Word of God, to understand what will soon happen in this world. The Bible warns us against imitation coming of Jesus Christ? The Bible warns us that before Jesus Christ comes again to this world, Satan tries to make his ultimate scam. Attempts to fool all the believers and unbelievers, imitating Christ's coming. Satan will come in great glory of this world, we will be unthinkable. It's something the human eye has seen. People will call back to Christ and fall at his feet. Satan in the form of Christ will quote his remarks, miracles and heal people. It will reveal a number of places in this world and deceive many. 2,3-12 Thessalonians - Do not let anyone deceive in any way. Until that day comes, there needs to be turned away from God. They must discover the wicked and reprobate, who opposes and exalteth himself above all that what it says and what God is worshiped. Settle even in God's temple and will issue a God! Do you not remember how I told you when I was still with you? You know what prevents him yet - may in fact occur until that time. The secret of this wickedness, but it works, just waiting for it to disappear the obstacle. When it appears that Wicked, Jesus destroy him the breath of his mouth, destroying its brightness it coming. The advent of the wicked will become Satan's activity, all the false powers, wonders and miracles. With all the folly is to deceive those who are heading to disaster, because he did not love the truth, which could save. Therefore, the issue over to God delusion to believe lies. So they sentenced all those who believe the truth but had pleasure in infamy. It will promote the papal Sunday as a day of rest in the right place Biblical Sabbath. Breaks great hardship and persecution of the faithful who remain faithful to God and will keep his law. Daniel 7.25 - Will speech against the Most High, the saints will be wrong and try to change the times and rules. Saints will be given into his hands for a time and times and half a time. Someone talking about an early end of the world, the coming of Christ? Needless to write about the mystical year 2012 which is literally interwoven with the various prophecies about the end of the world, the transition into the spiritual being, to transform mankind for the better, transforming the age of Aquarius. All this should be accompanied by apocalyptic events. Is this really what we are talking and writing. Even on national TV, we are served papers on UFOs, crop circles, which refer to the Mayan civilization, and 2012, the return of the Godhead. The so-called Maitreya the Christ, who, according to Representative Benjamin Creamy New Age will soon reveal to the world. It should be a teacher of nations, the master of masters. It would help bring peace and harmony in our world. People go through so-called transition and will instead live a spiritually materialistic. They say now Maitreya gives interviews on television around the world. Waiting for just the so-called Declaration Day, when Maitreya comes officially into the world to help bring peace and love. Friends hour day or the coming of our Lord Jesus Christ, nobody knows, in the Bible we have this fact clearly pointed out. Mark 13,32-33 - The day and hour no one knows - not even the angels in heaven, nor the Son, but the Father. Be careful, be watchful. We do not know when that time comes. All of these mystical date of the world, dates the arrival of Jesus Christ is Satan's deception to make us mad, confused and deceived. It prepares you for the way his final deception, simulating the arrival of Jesus Christ. In the Bible we are given the facts, but what will happen before the Lord Jesus Christ will return for his faithful. So we know that, right before the advent of the Lord Jesus Christ will be staged simulated. Satan will try to tear down all on his side, on the final deception against God and His law. Believe that this error is quickly approaching, Satan has prepared everything perfectly. It is up to God, when Satan will allow for fully manifested, came as an angel of light and deceive the whole world. Study the script now, let us repent and seek God with all your heart. Get ready, let us not be fooled. What will look right coming of Jesus Christ? Remember that the Bible clearly describes how it will look right coming of our Lord Jesus Christ. Will it all, at one point. Will need to do any television and other media resources, we saw him. Jesus' second coming to us not descend to the ground, but the faithful will be caught up to meet the Lord. The dead will rise from the grave and be captivated with the faithful live in the clouds to meet the Lord. Matthew 24.27 - The advent of the Son of Man comes like lightning - light up the sky from east to west. Luke 17.24 - as if lightning lights up the country from one end of the sky to another, so will the Son of man in his day. Revelation 1,7 - Behold, it comes with clouds and every eye shall see him, even those who pierced him. All the tribes of the earth for him cry. Yes, truly. 1 Thessalonians 4,16-18 - You will hear a rousing command, the voice of the archangel and the trump of God, the Lord Himself shall descend from heaven and the first time the dead in Christ shall rise. We live together with them caught in the clouds to meet the Lord, then we'll be with the Lord forever. Encourage each other with these words. God has warned us by Ellen Gould White's arrival on the imitation of Jesus Christ? Satan will impersonate Christ - II. Satan is preparing his fraud so that in its last war campaign against the people of God was not identified them. "And no wonder. For Satan himself transforms into an angel of light. "... Satan will do everything in his power to God's people distressed, tried and fought. Those who dared to stand against our Lord, and tempt and tease him, which had the power to take it on their arms and give the pinnacle of the temple and at a very high mountain, one will strangely exercise its power to the current generation, that is, in terms of wisdom, far below than the Lord and that is almost completely ignorant of Satan's cunning and strength. He will come disguised as Christ and will do mighty wonders. And people will fall down and worship him as Jesus Christ. He will come disguised as Christ, will be mighty miracles. And people will fall down and worship him as Jesus Christ. We will be telling us to worship the creature that the world will be celebrated as Christ. (RH 18 December 1888) Just before us is "the hour of temptation that has come upon all the world to be tried by the inhabitants of the earth." (Revelation 3:10) All those whose faith is strongly borne out by the word of God, will be drained and overwhelmed. Satan's work "with all manner of fraud iniquity," to achieve control of the sons of man, and his deceptions will continue to grow. I saw our people in great distress, weeping and praying, invoking God's promise of reliable, while the wicked were everywhere around us, mocking us and threatening to destroy us. They made fun of our weaknesses, grinning to the fact that we are few in number and by taunting us with the intent to hurt deeply. They accused us that against the entire rest of the world stand for an independent opinion. Cut off our resources so that we can not buy or sell, and pointed to our deep poverty and poor condition. They could not understand how we could live without the world. God's people will hear a clear, pleasant voice: "Look!" When you look up to heaven, they see a rainbow of promise. Black, ominous clouds conceal the sky and divides God's people will look intently into the sky as it once was Stephen, and they see the glory of God and Son of man sitting on the throne of God. On his body, notice the signs of his affliction, as well as the angels hear the petition designated the Father: "Father, I want also to those whom thou hast given me be with me where I am." (John 17.24) Again, sounds delicious and a triumphant voice: "They come! Coming! Saints, innocent and untainted. 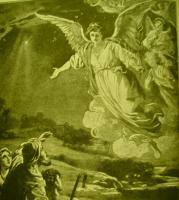 Kept my word, and endured, because they live among the angels." The pale and trembling lips of people who have held fast to their faith, you will hear exclamation of triumph.